Fuel efficient cars for sale can be found in many big vehicle brand dealerships across the country. Brands such as Fiat, Toyota, Renault have all realised that the age of the fuel guzzler is over and more and more people are looking for more affordable vehicles as they deal with ever increasing prices in fuel. As much as most of us would love to own a Ferrari or even one of the BMW M models, these kinds of cars are increasingly becoming far too expensive to run, even if you have the money to purchase the vehicle in the first place. There has been a major global trend to buy cars which not only have fuel economy but also are better for the environment. With today’s hybrids, there are many options available today. These are the top 5 of the most fuel efficient cars for sale. Some of these cars are slightly older models, but can still be found used. This car has a four cylinder engine has a 99 kmpg fuel efficiency on the highway. One of the reasons why many cars today have poor fuel efficiency is due to an increase in size and weight. Newer cars are much safer and more comfortable than the older models, but these changes have also made them use up more petrol. 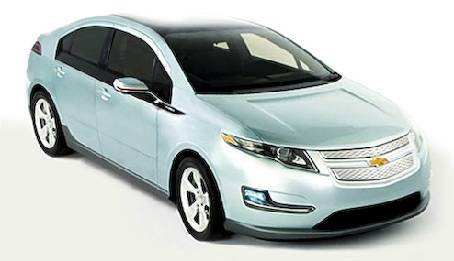 The Volt is a plug-in car which also uses a petrol engine. The engine uses both the electric and petrol power to fuel the vehicle and it’s estimated mpg puts it at the top of the list. Consumers who are interested in the Volt should consider the cost of plugging in the car. While it may be less expensive and eco-friendly to have this car, powering it can add to the overall cost. The Insight has less horsepower with a three cylinder engine, but still has an estimated 98 kmpg on the highway. A smaller car model, the Insight is a two seat hybrid. One of the reasons why this car has such a good fuel economy is due to the manual transmission. While Consumer Reports wasn’t a big fan and thought the car was too cramped, it’s a great choice for a single person or a couple who want to save on gas. Toyota is known for making a reliable car with reasonable fuel economy and this hybrid is no exception. The four cylinder engine is said to get 77 kmpg on the highway, although the makers of the Prius were said to be conservative in this estimate. Car owners agree that this is a great choice for a fuel efficient car and it has become one of the top sellers for hybrid cars across the United States. 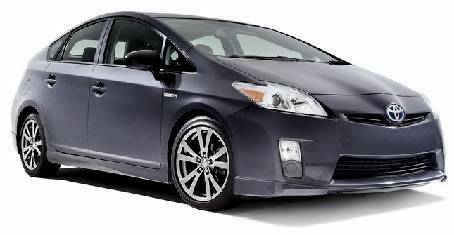 The Prius is roomy enough to seat a family and is a reasonably priced hybrid for consumers today. This is one of the older models that is one of the few non-hybrids on the list. However, this little car gets 82 kmpg on the highway and the makers of the car designed it to have excellent fuel economy. It’s only a two-seater, which is why it’s not a hugely popular model. Still though, this is a great choice for a used car and it’s vintage feel will appeal to consumers who enjoy older cars and fuel economy at the same time. This is another four cylinder engine that rounds out the top five list. However, this hybrid is a sharp decrease from the other models and is only estimated to get 71 kmpg on the highway. The makers of the Civic Hybrid wanted to create a safe car and this model is much heavier and also safer than other hybrid cars available today. Another good choice for a family car, the back seats make it a practical choice today. Although this car makes the top five list, many consumers may not be convinced that it’s worth the high price tag. These are 5 of the most fuel efficient cars for sale today. Most of them can be found at the dealerships, although many of them may be available used as well. It’s hard to ignore the fact that cars today are becoming more expensive due to the increased demand for hybrid and fuel-efficient technologies. Choosing a fuel-efficient car can be a little steep at the dealership, but car owners stand to save a significant amount of money in the long run. For the consumer who may not be interested in paying the high prices of these cars, they should consider purchasing an older model that has a manual transmission. Smaller cars with manual transmissions get significantly better petrol mileage. While not the same as these options, they are good choice for a cost-conscious buyer. These top five cars, however, are the best options for buying a fuel-efficient vehicle today. The global trend has lead to more and more fuel efficient cars for sale, such as the Gee Whiz and the different models of Smart cars. These cars offer the buyer greater fuel economy which means that they save money on petrol which is essential in the current economic climate in South Africa and around the world. As the prices of oil surge due to trouble in the Middle East with countries such as Libya, the rest of the world is suffering as not only does the price of petrol increase, but it means that everything else increases. Therefore more people are looking for more affordable vehicles which give them the freedom of owning a car, but without the massive costs of petrol. It is the clever brands in the car market such as Fiat, Toyota, and Renault who have taken notice of this trend and are responding to their customers needs by making more fuel efficient cars. This means that they are creating affordable vehicles for the masses who are the hardest hit when the oil prices soar. So if you are looking to save money and a car with fantastic fuel economy then why not take a look at the different makes such as Smart cars and take a look at the number of fuel efficient cars for sale.